Conference Partners organised the 38th Annual Meeting of the International Urogynecological Association (IUGA) from the 28th May to the 1st June 2013. IUGA’s future growth is completely dependent on the support of a young and dynamic membership. In order to foster the professional development of fellows in training, specifically organized workshops were planned, there were also opportunities to practice podium presentations of their work and to participate in committee activities. 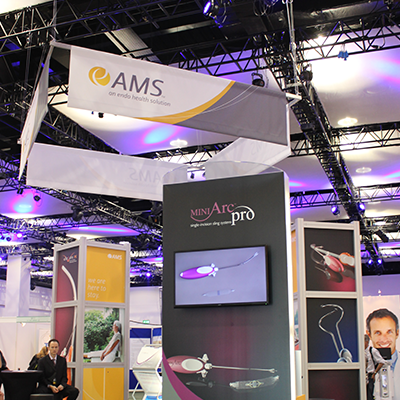 The conference was dynamic and engaging with a programme including cadaveric workshops, surgical skills demonstration, roundtable discussions and interactive debates. The conference proved to be a huge success with an outstanding attendance of 1,550 delegates from around the globe, with large numbers attending from Australia, China, the United States and Canada. “It’s been a true partnership with Conference Partners, they’ve been able to help guide without controlling and that’s what you want when you’re working with a conference organiser is to have a partnership. We’re a very small association, there’s a staff of eight of us and without the support of conference partners being available to us pretty much 24 hours a day we would not have been able to have pulled this conference off so in my estimation it has been a true partnership between both organisations.